What is UP with famous country folk and their love of doing the chink eye (see 1:25 of the clip)? Not to generalize or whatever, but… isn’t that kinda what Toby’s doing here? 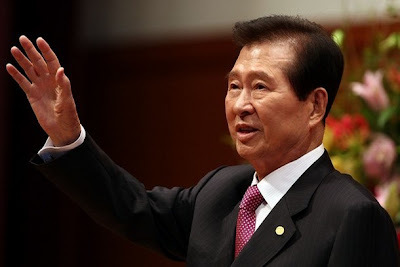 Former South Korean President Kim Dae-jung passed away earlier today, from a cardiac arrest resulting from massive organ failure. A popular pro-democracy opposition leader, he was elected as President in 1997 and lead the way for a liberal, democratic, modern South Korea. One major highlight of his life’s work may have been his optimistic “Sunshine Policy” approach towards North Korea, which warmed relations with the brother country and ultimately garnered Kim the Nobel Peace Prize in 2000. He remains a beloved figure in his home country and abroad, and his presence–always hopeful–will be missed.